The Chiswick Dog Show led to two of our most fun builds in 2015 - the Kennel Cafe, and the Dog Bone Bar. Fentimans were providing drinks at the show, and as usual they wanted to stand out from the crowd. We were tasked to come up with something fun, unique and Dog themed for the show, with space for canines and their owners to relax. 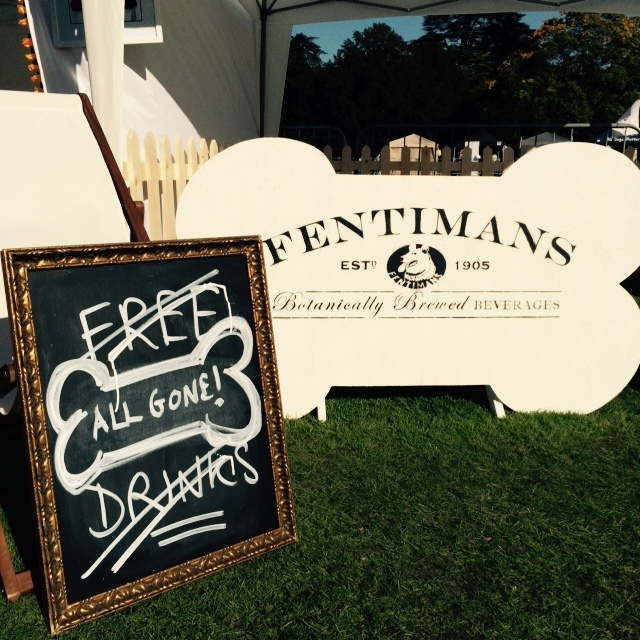 We quickly landed on the idea of a dog bone, every canine's favourite treat, surrounded by comfortable doggie beds, a Dog Pavilion, and a podium so that Fentimans could award their very own 'Best in Show'! Mission accomplished... the Dog Bone Bar drew crowds throughout the day! If you want to create an impact at your next event, contact us now to hire a Quirky Bar or commission something new and exciting! Email us on or check out what we've designed and built in the past.